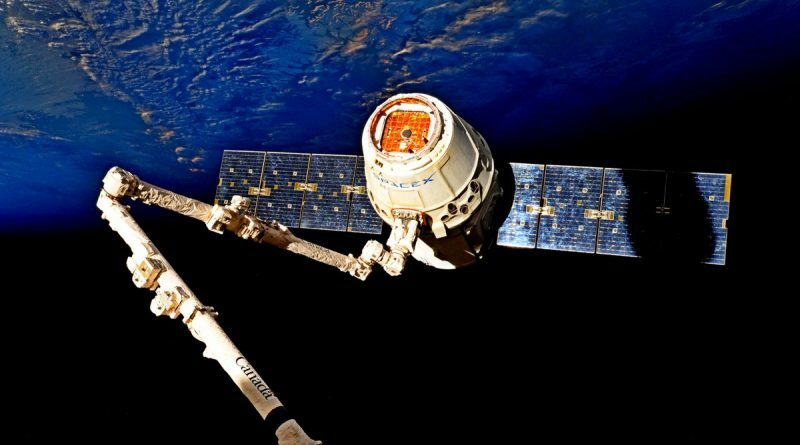 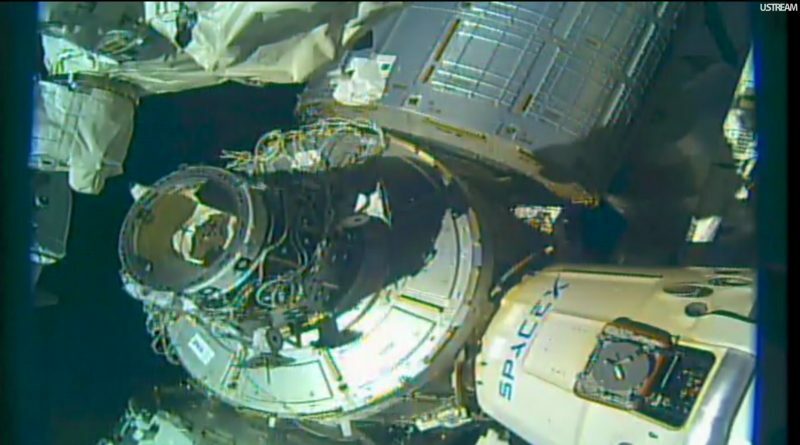 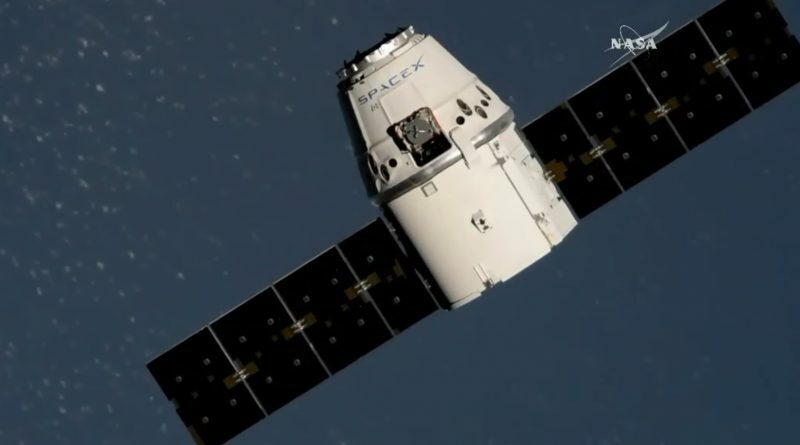 A science-laden SpaceX Dragon spacecraft pulled up ten meters underneath the Space Station on Sunday in a high-fidelity orbital link up to be captured by the Space Station’s robotic arm to begin a four-week stay for the delivery of over two metric tons of science hardware, supplies and two new sensors to be installed externally. 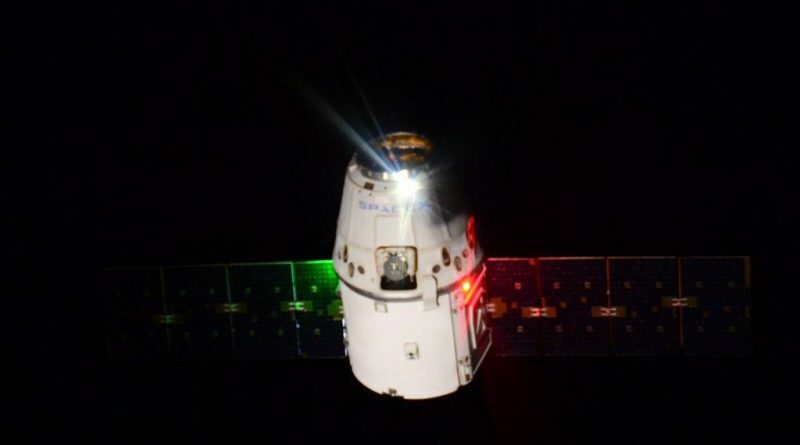 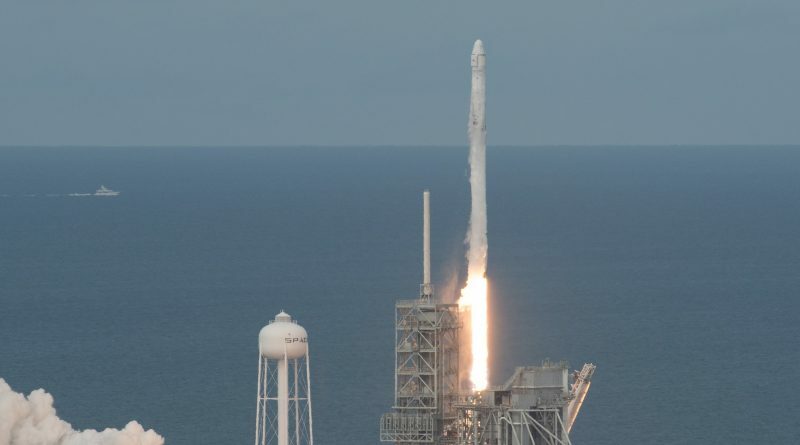 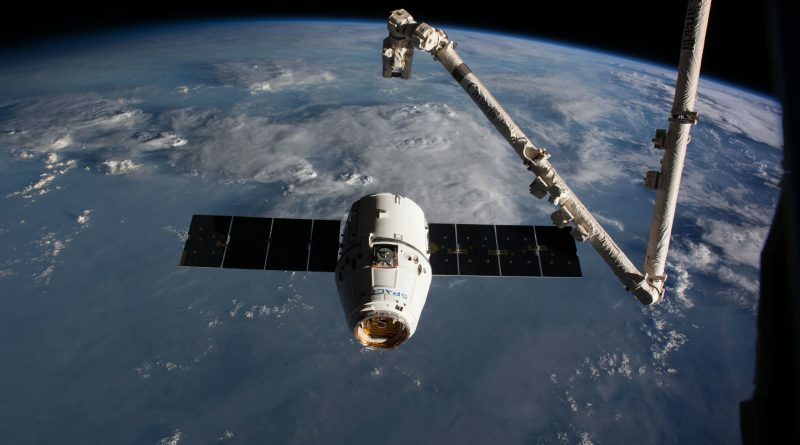 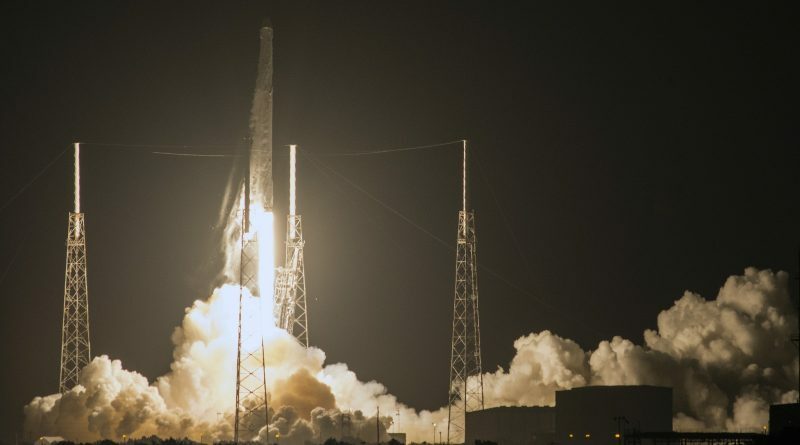 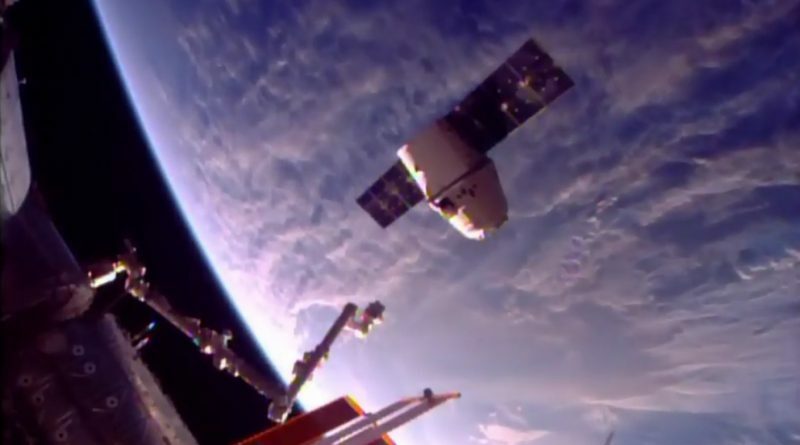 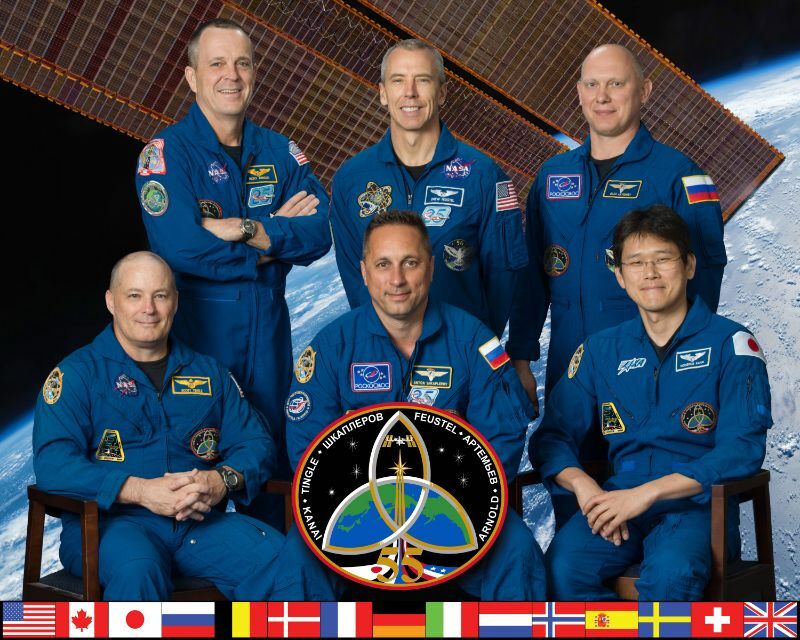 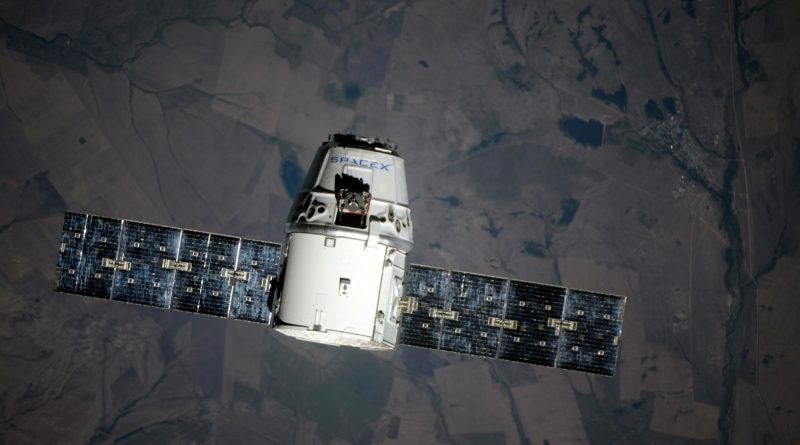 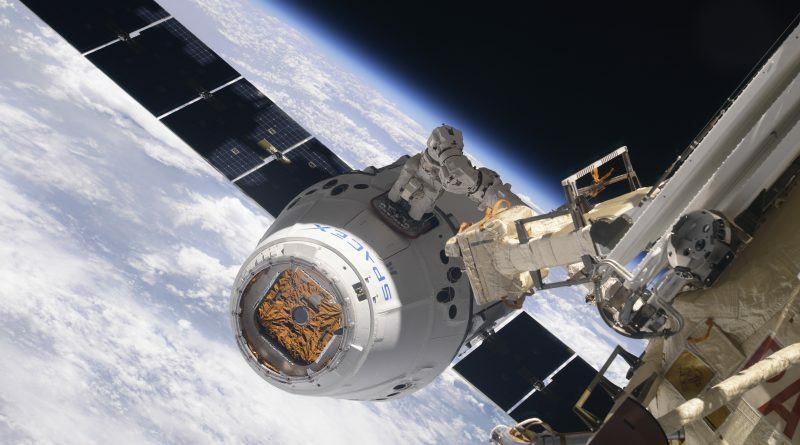 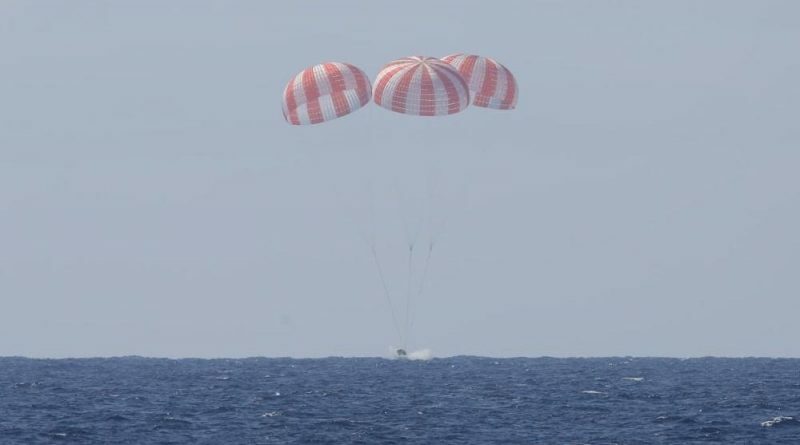 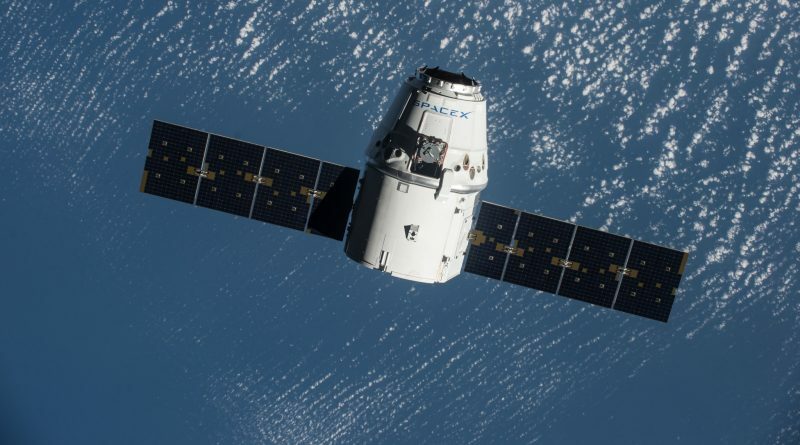 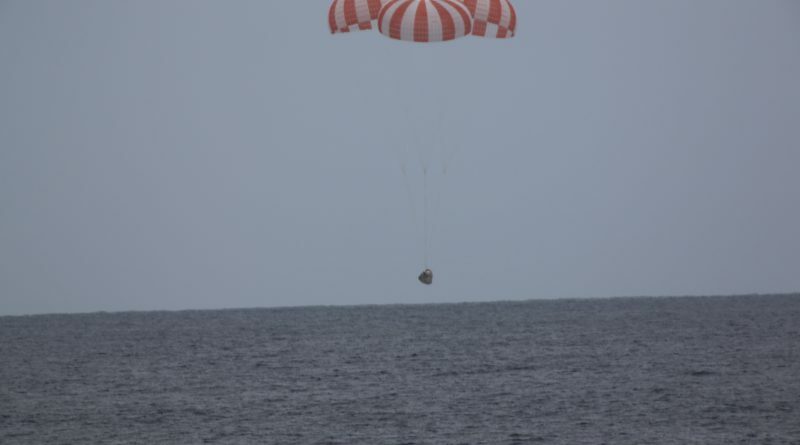 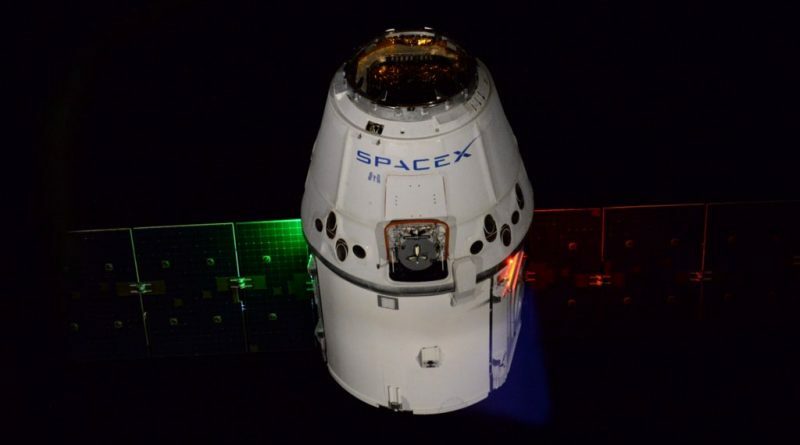 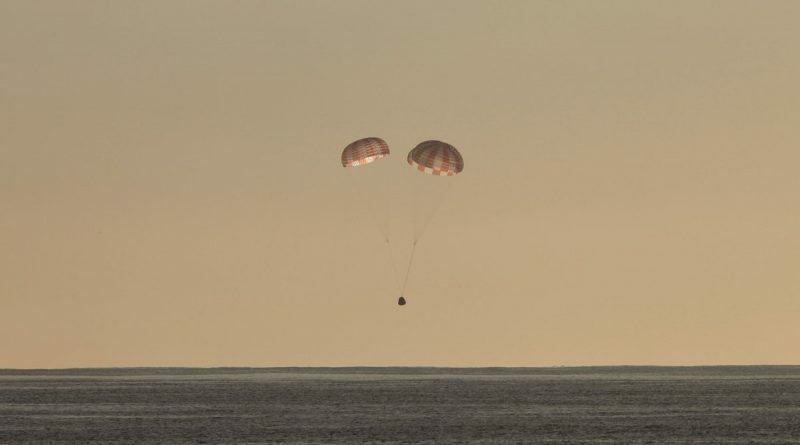 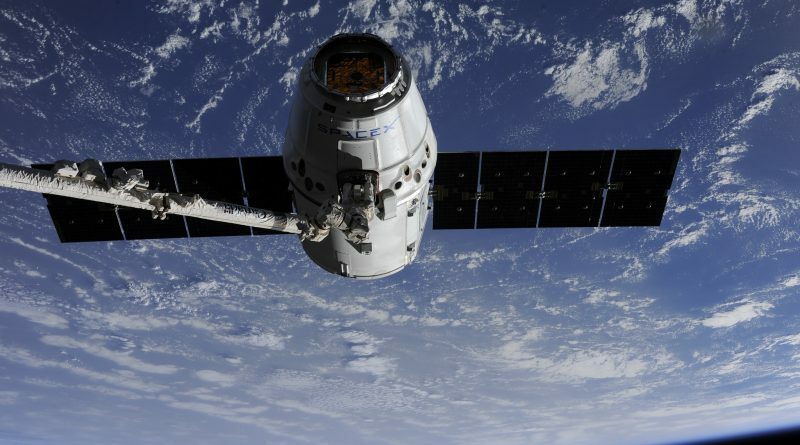 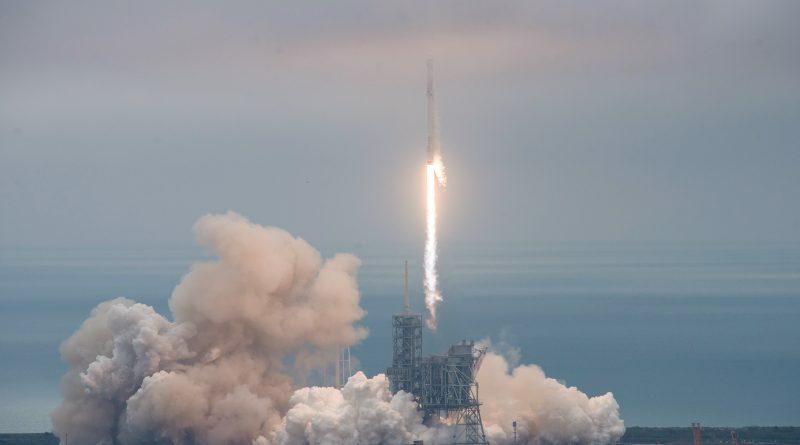 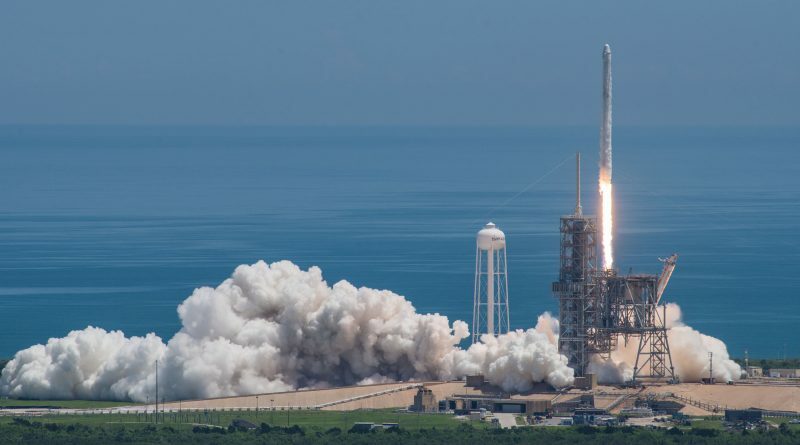 SpaceX’s first Dragon re-use mission successfully concluded on Monday with the spacecraft parachuting to a safe splashdown landing in the Pacific Ocean to return nearly two metric tons of science and hardware from the International Space Station. 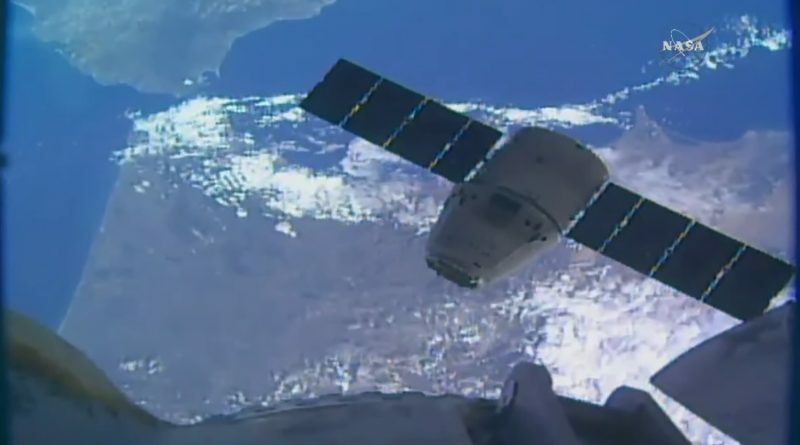 A busy period of traffic wrapped up at the International Space Station on Monday with the successful capture of the SpaceX Dragon SpX-11 spacecraft, marking that craft’s second arrival at the orbiting laboratory as the first re-used Dragon following up on a visit in 2014 with the delivery of a second batch of cargo. 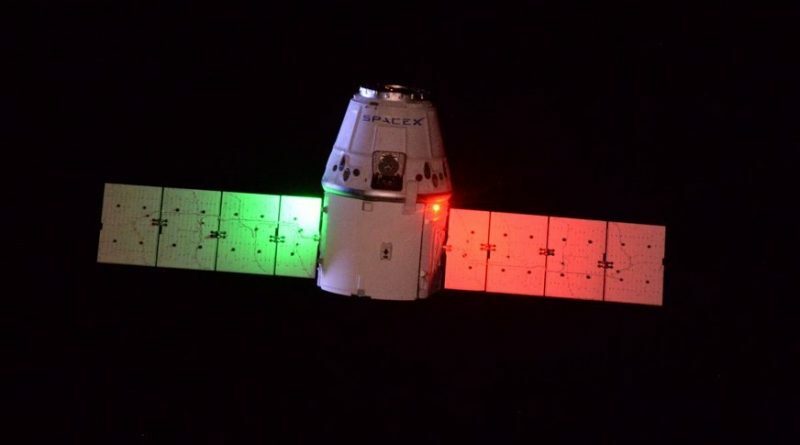 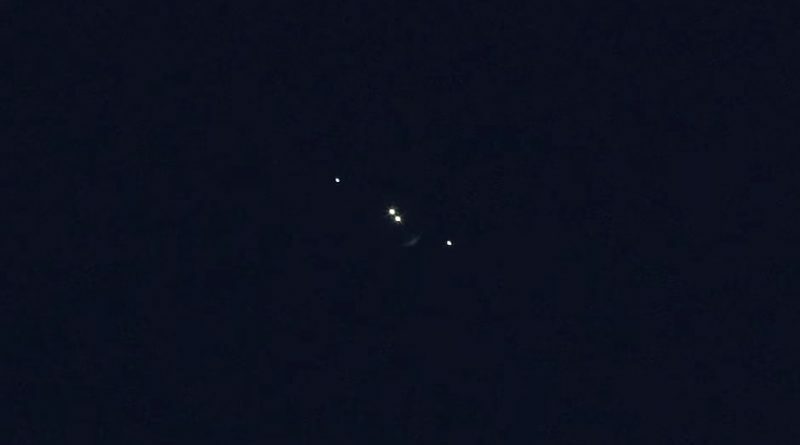 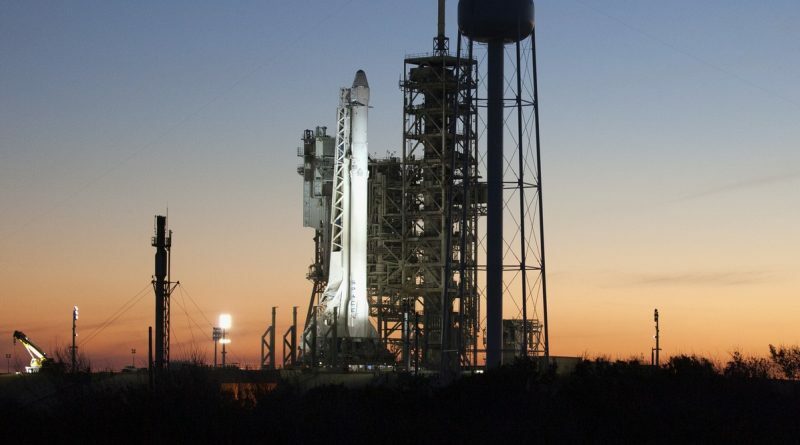 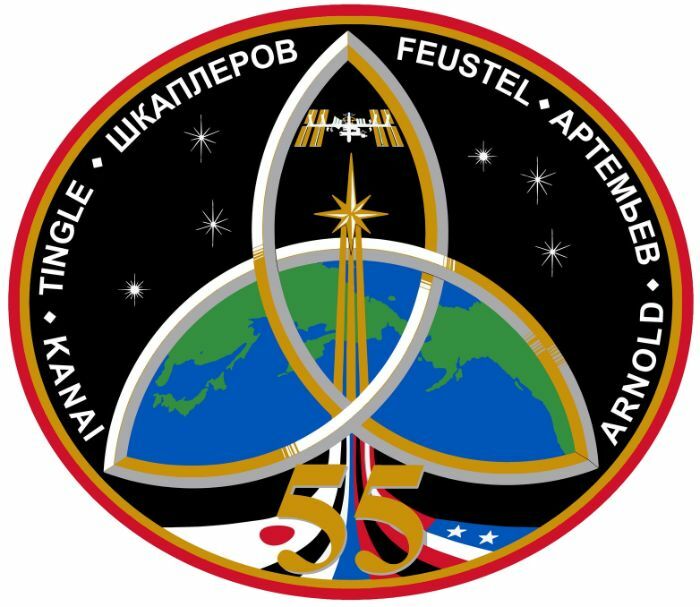 Observers in Western and Central Europe were treated to a unique sight passing overhead Saturday night when the freshly launched SpaceX Dragon along with its second stage and two protective covers streaked across the sky just minutes after lifting off from Florida’s Space Coast. 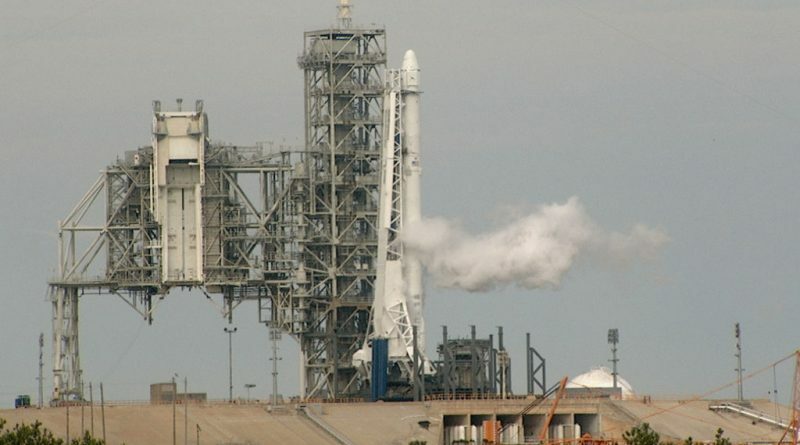 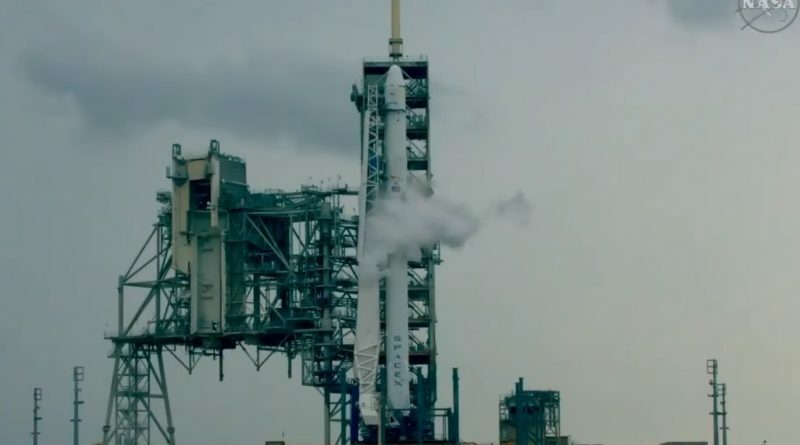 The launch of a SpaceX Falcon 9 rocket with the Dragon SpX-11 spacecraft had to be scrubbed on Thursday due to unfavorable weather conditions at Florida’s Space Coast with two lines of storms just inland from the Kennedy Space Center where the two-stage launch vehicle was being fueled for liftoff. 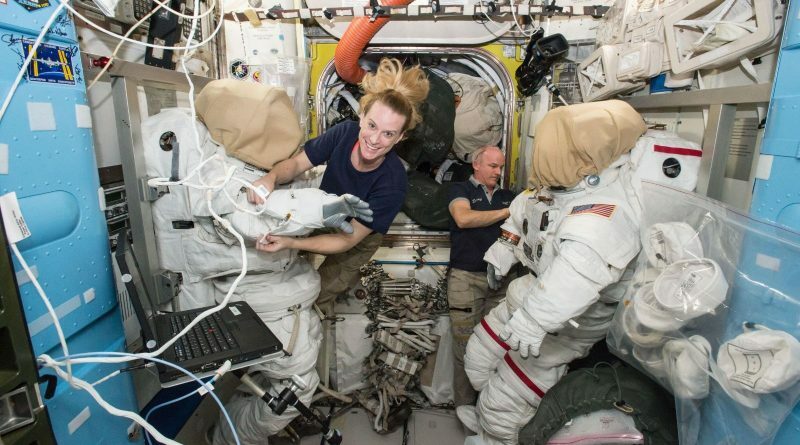 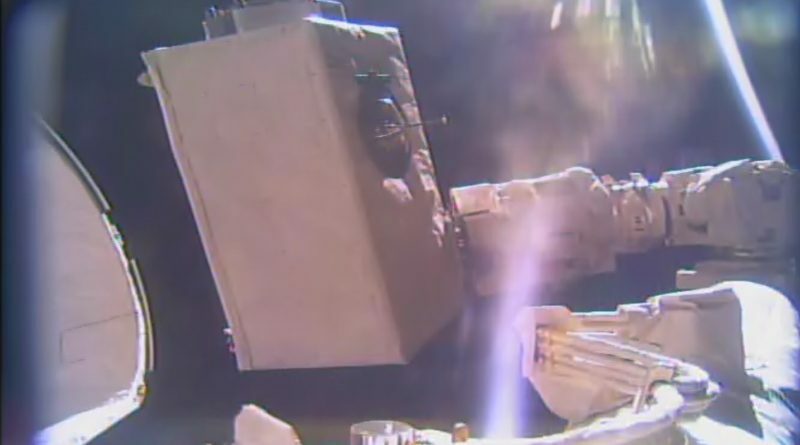 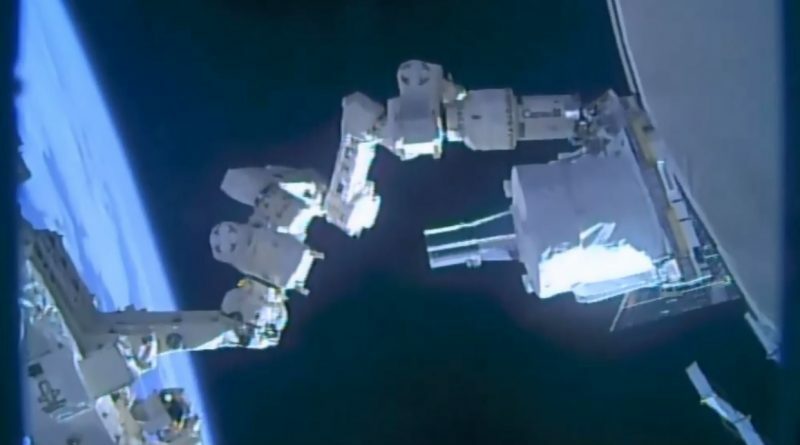 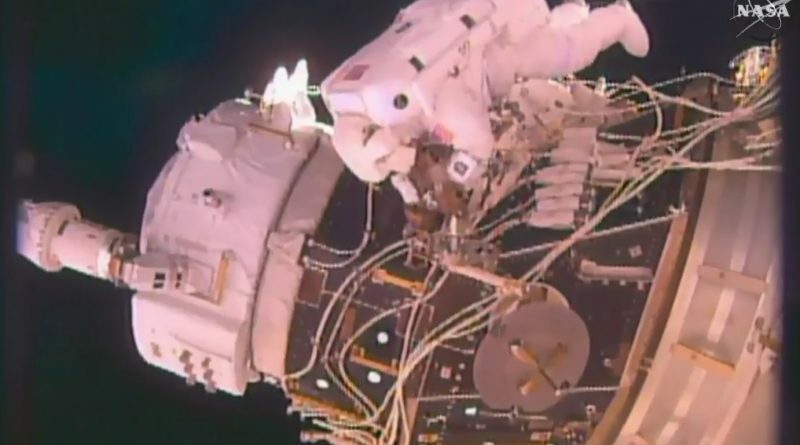 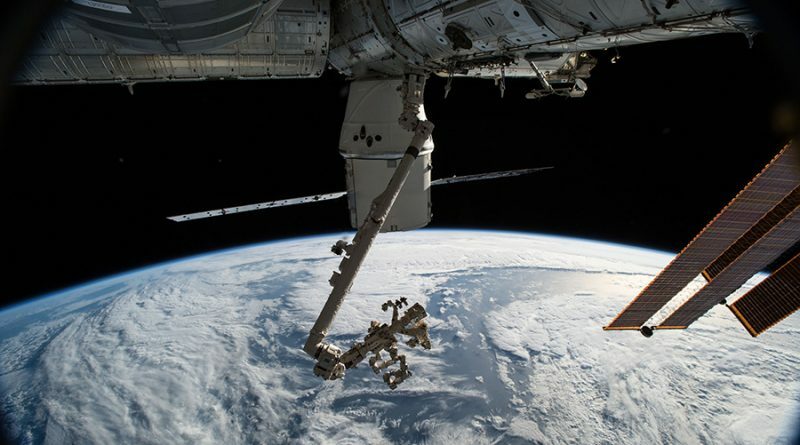 Timelapse video of robotic activities underway outside the International Space Station from March 2 through 8 covering the installation of the Stratospheric Aerosol and Gas Experiment III (SAGE-III) and the removal of the Robotic Refueling Mission payloads. 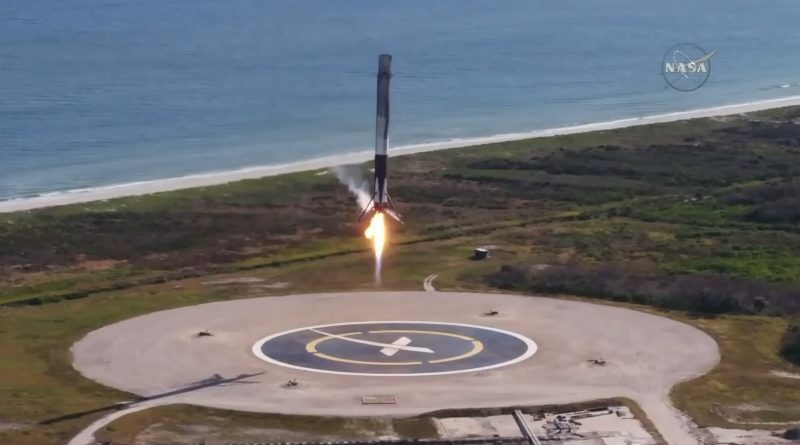 This clip plays at 50x real speed, you can use YouTube’s speed adjustment function to slow it down or increase to up to 100x real speed.